San Diego’s leading news site SignOnSanDiego.com recently partnered with digital agency Cuker Interactive to redesign Daily Deals, a service featuring deals of up to 90 percent off of local restaurants, attractions, and services. 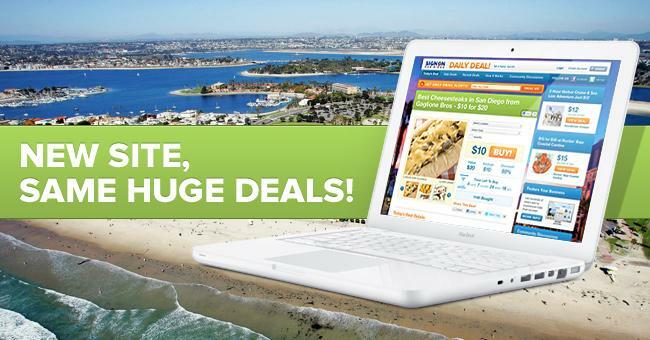 Located at dailydeal.signonsandiego.com, the program allows users to sign up to receive email notifications for daily deals, share them with friends and family, and earn credits for referral purchases. Since the site launched in March, the Daily Deals site has generated significant revenue, including a record-setting $366,035 through a single offer. From the beginning, SignOn San Diego wanted a flexible site for local deals that was simple to use and could be easily managed and maintained in-house. The Daily Deals platform was built on the Web Cube CMS software system for easy content management, and includes advanced functionality such as a Facebook Connect login, referral credit capabilities, social media integration, multiple location features, and Google Maps for tracking deal locations. The new Daily Deals project is a signature component of SignOn San Diego’s efforts to expand their reach beyond traditional media and to develop new revenue sources through digital channels. By combining the latest in interactive technology with their broad influence in the San Diego market, they are positioned to boost visibility while increasing revenues for advertisers and partners.